Today, caries remains one of the most common diseases throughout the world. Dental caries, also known as tooth decay or a cavity, is an infection, bacterial in origin, that causes demineralization and destruction of the hard tissues of the teeth (enamel, dentin and cementum). It is a result of the production of acids by bacterial fermentation of food debris accumulated on the tooth surface. If demineralization exceeds saliva and other remineralization factors such as from calcium and fluoridated toothpastes, these once hard tissues progressively break down, producing dental caries. G.V. 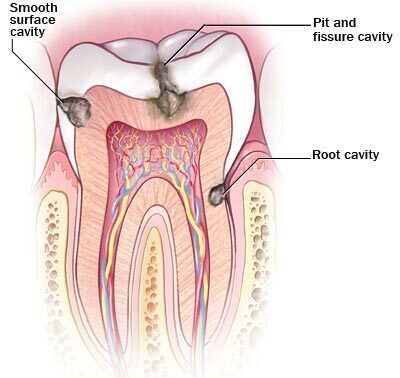 Black’s Classification of dental caries is the standard method used in identification of carious lesions according to its location on the tooth surface. Black originally devised five classifications, but a sixth was later added. These cavity classifications are used when recording on the patient’s chart the type of caries found on the teeth. CLASS II LESIONS: Involve the proximal surfaces (mesial and distal) of posterior teeth with access established from the occlusal tooth surface. 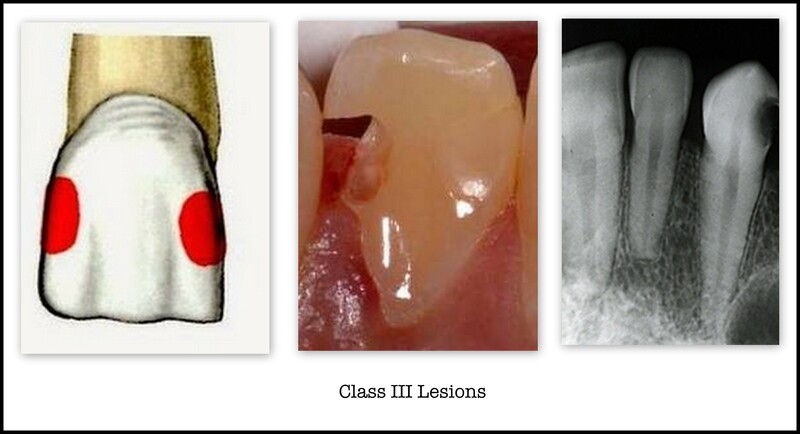 CLASS III LESIONS: Involve the proximal surfaces of the anterior teeth which may or may not involve the lingual extension but DO NOT involve the incisal line angle. 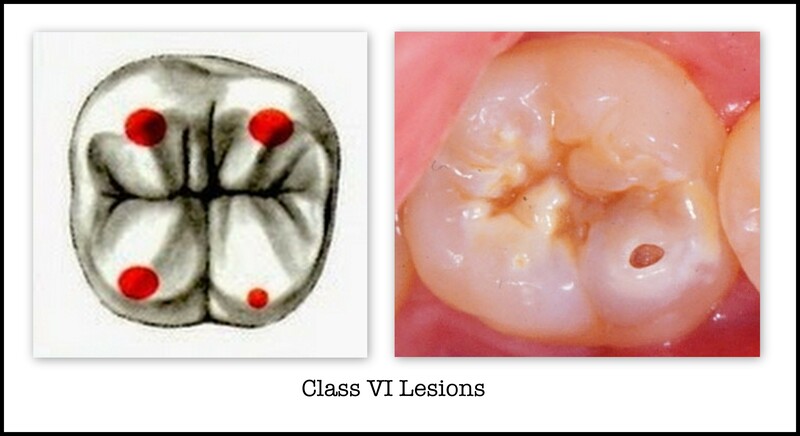 CLASS IV LESIONS: Involve all proximal surfaces of anterior teeth which also INVOLVE the incisal line angle. 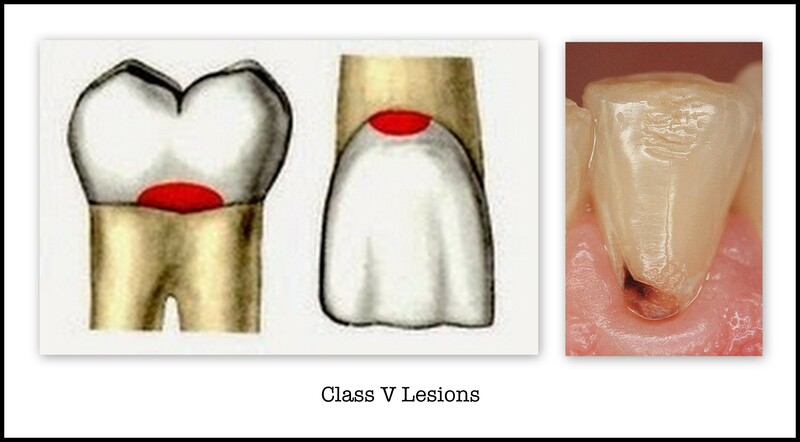 CLASS VI LESIONS: Involve the incisal edges of all anterior teeth and the cusp tips of all posterior teeth. Excellent work. And a reminder that caries isn’t defeated, yet. Thank you for visiting my blog. 🙂 I completely agree, in my option too much time is devoted on treatment instead of preventive measures in dental field. I am writing an article about dental composites, can I use all the pictures and photos concerning G.V. BLACK’S CLASSIFICATION OF CARIES? Hi Fred, yes. Please feel free to use any photos and pictures. Thank you for your prompt response. You confirm that all these illustrations are free to use?